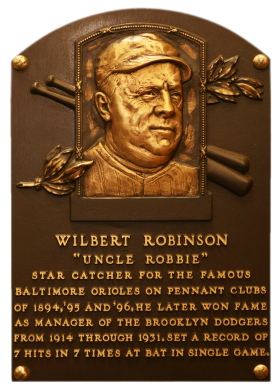 Comments: In March, 2005 I purchased a 1960 Fleer PSA 9 of Wilbert Robinson - nice portrait but not contemporary to his career. Later in 2006, I remember seeing an image of the W519 Robinson somewhere online and it was forty years older than my placeholder tribute card. I needed to find an example and casually discussed it with a hobby friend. Within a few weeks I received a surprise package. My friend sent me a copy they found on eBay as a gift. What a guy - thanks Zach! In January 2009, I found an upgrade on eBay and had it graded. 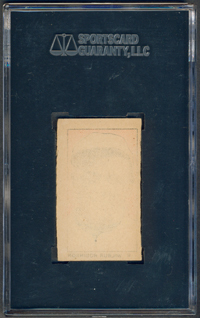 Although the corners and edges were much better, the card didn't meet size requirements and was slabbed "Authentic" by SGC. So the search continued further until 2012. 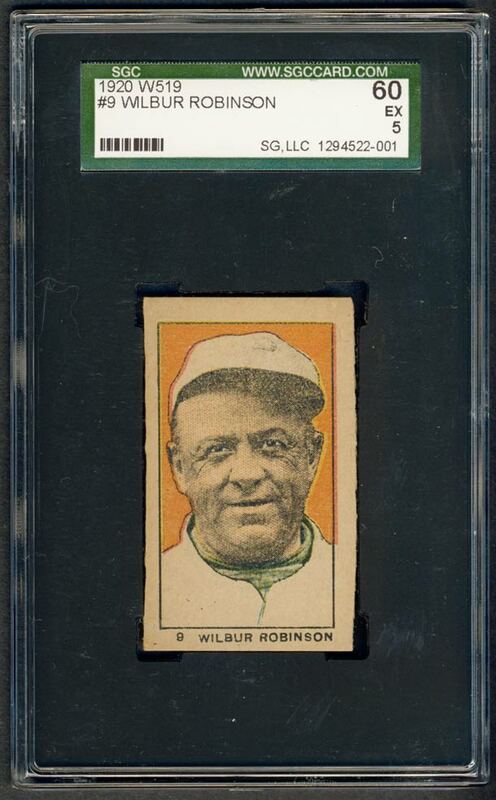 On the first day of The National, a Wednesday evening in Baltimore, I was quickly walking the card show floor to see if anything popped out at me. Of all the cards on my wantlist I wasn't expecting this one would be upgraded anytime soon. Then, pow! I found a beautiful example of the card at Dan McKee's booth. It easily met the size requirements, strong corners with no creasing and was submitted onsite a couple days later. I went to the SGC booth a few hours later to pick it up with great anticipation and they gave the card an EX grade - so happy with it. I believe it's the highest graded example.